Stay in a Cuban home! Booking on "casa particular" could be one of the most wonderful experiences. 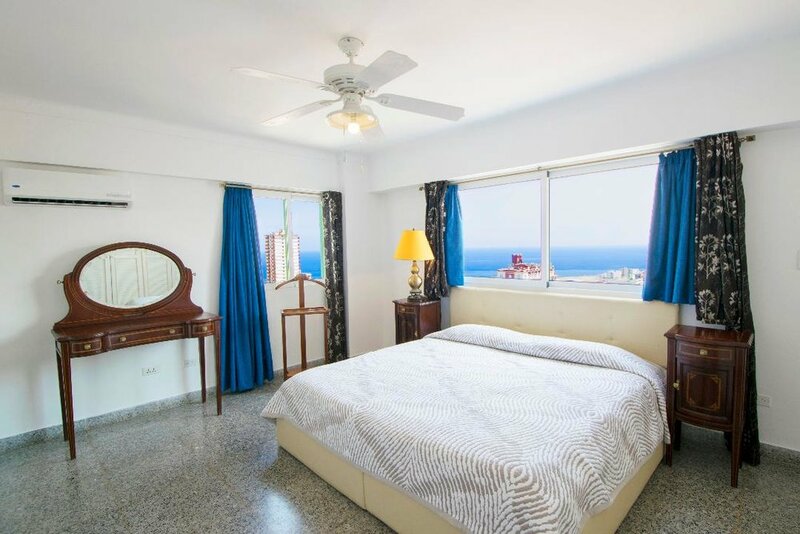 Unique 147m2 apartment and beautiful because has the view of havana sea malecon from the balcony and all 3 bedrooms, , all 3 rooms are spacious and has a huge balcony. Owners available 24h if needed. 24 h maids and Cuban chef. Taxis nearby. 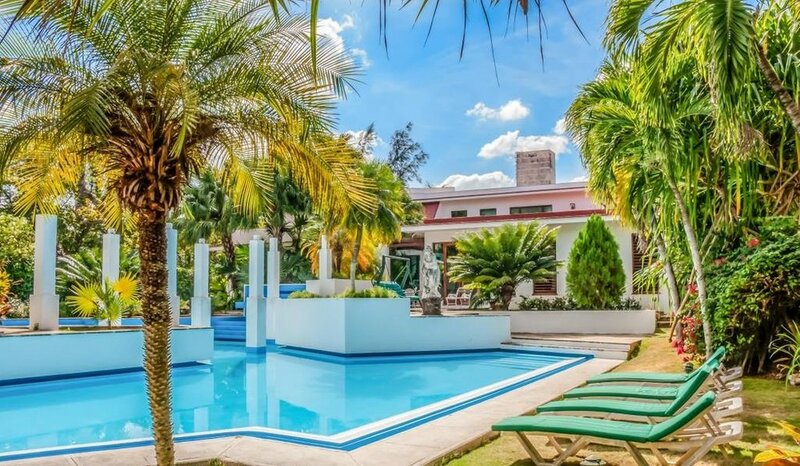 It is a very spacious 175 m2 apartment, clear, comfortable with the most beautiful view of the entire city of Havana in every room, and sea view from the huge balcony, first bedroom and kitchen. It's a beautiful place. 3 bedrooms 2 bathrooms. All beds are King. 110 and 220 v. Owners available 24h if needed. 24 h maids. 1 extra beds. 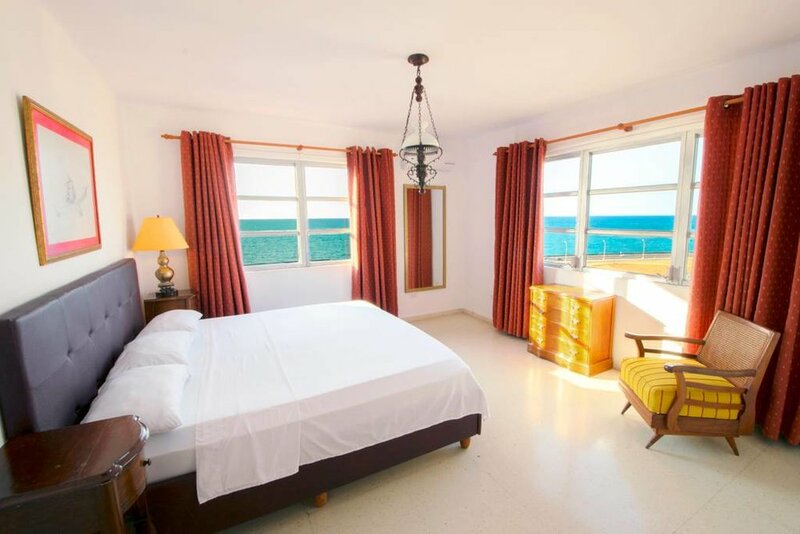 This beautiful apartment islocated in Miramar less than 100m of the Havana coastline, from your roof there is a terrace where you can enjoy the view, 3 bedrooms with 3 bathrooms, 1 visitors bathrooms, general air conditioning, ideal for friends, families and work groups. Beautiful house with 5 king size bedrooms, cuban art and furnitures, huge terrace. Owners available 24h if needed. 24 h security and housekeepers. The chef is available for special meal request. Spectacular and comfortable 300m2 apartment located in Miramar on 24th Street making it central.4 rooms with king beds and bathroom inside, 1 bathroom for visitors. The apartment is spacious safe and comfortable, employed, Cuban cuisine chef and security 24h. Taxis nearby. This is a complete house, 4 queen beds bedrooms , 1 double tween bed and 5 bathrooms, a living room, a office, a dinning room, and a very good patio, WE WILL BE UPDATING THE PHOTOS EVERY DAY!!! The Villa blends the magic of unspoiled natural beauty with first class lodging and fine dining, in a luxury area of peace and tranquility. This Villa can only be described as spectacular with huge garden built in the Spanish Colonial style on exclusive Siboney neighborhood. The property has the biggest swimming pool in all Habana. Security 24h. housecleaning every day. Housekeeper available 24 h.